Just another blog from some random developer on the internet. Currently having an SSL certificate is practically mandatory, because the most recent browsers can mark your website as insecure if you do not have an SSL certificate installed, not to mention that the site will be susceptible to different vulnerabilities such as data theft or Man-In-The-Middle attacks. 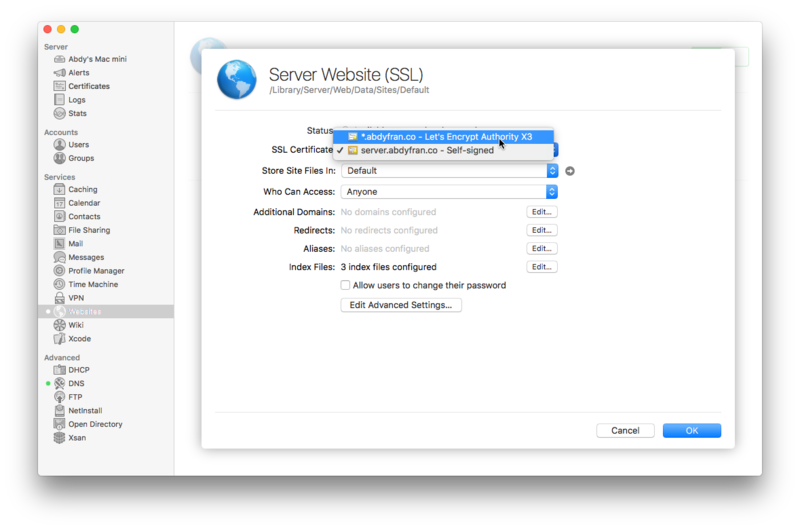 Luckily, installing an SSL certificate on a server with macOS server is quite simple. 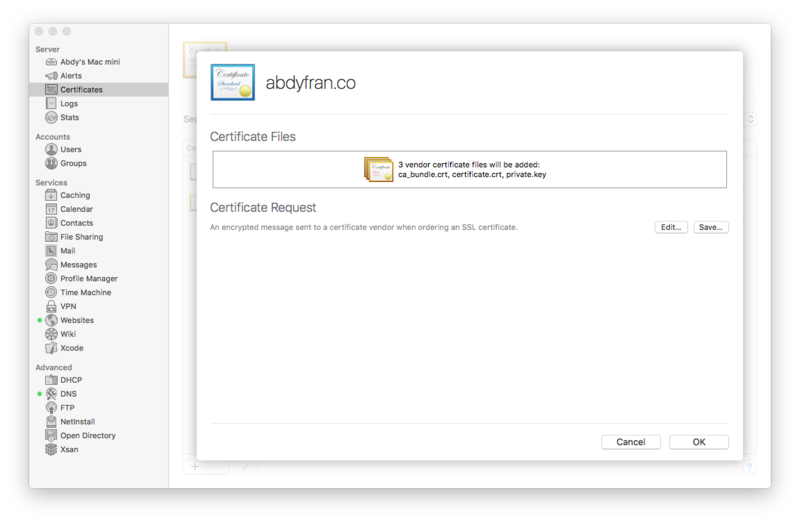 This tutorial will guide you in detail how to install the certificate yourself. 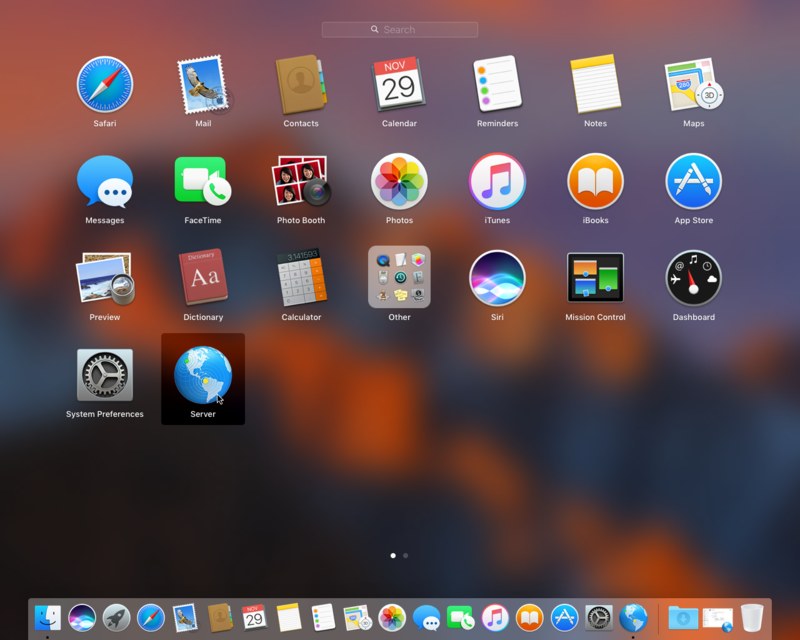 This tutorial applies to macOS Server Yosemite and above. 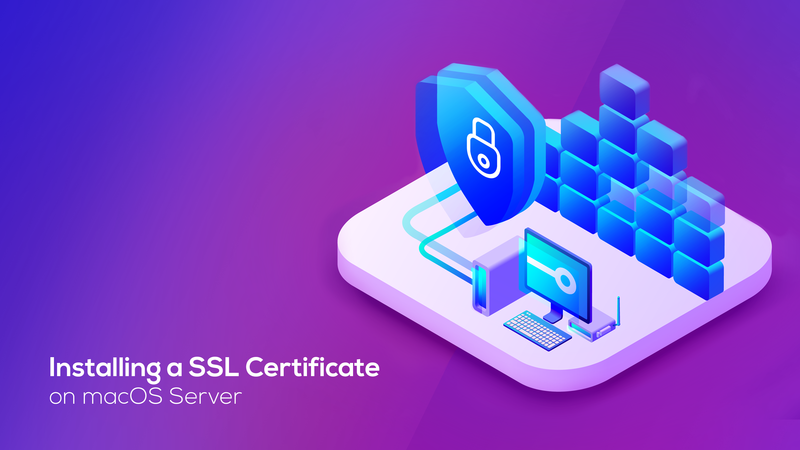 In this tutorial we will cover the entire process related to obtaining and installing the SSL certificate, from the generation of the CSR to the configuration of the certificate on the websites hosted on the server. 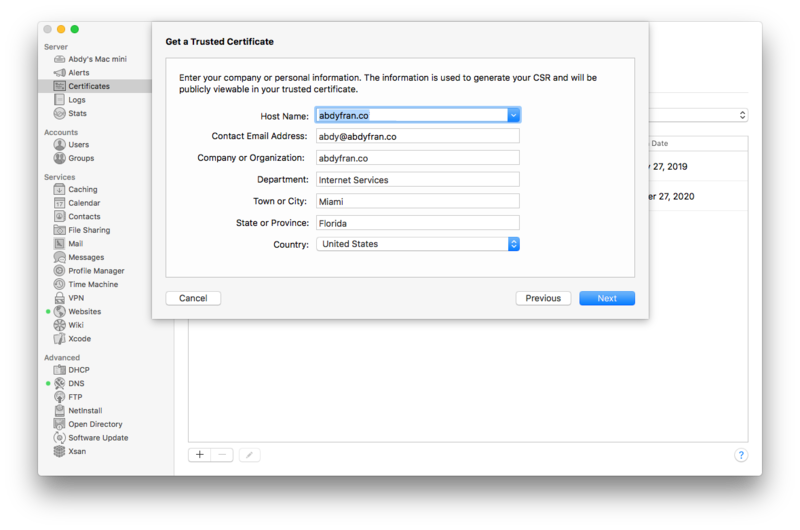 The first step to install an SSL certificate is to generate a CSR code which we will use to purchase our certificate with the certifying authority of our choice. In my case I decided to use a free Let's Encrypt certificate. Fig. A - Server app on Launchpad. Fig. 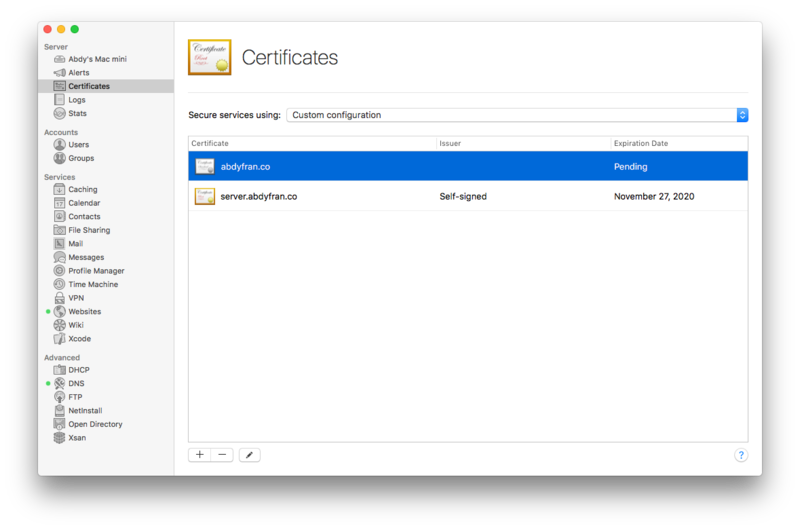 B - Certificates section on Server app. Fig. C - CSR generation wizard. Fig. D - Generated CSR. Fig. E - SSL Certificate marked as pending. Fig. F - Installation of the certificate files. Fig. 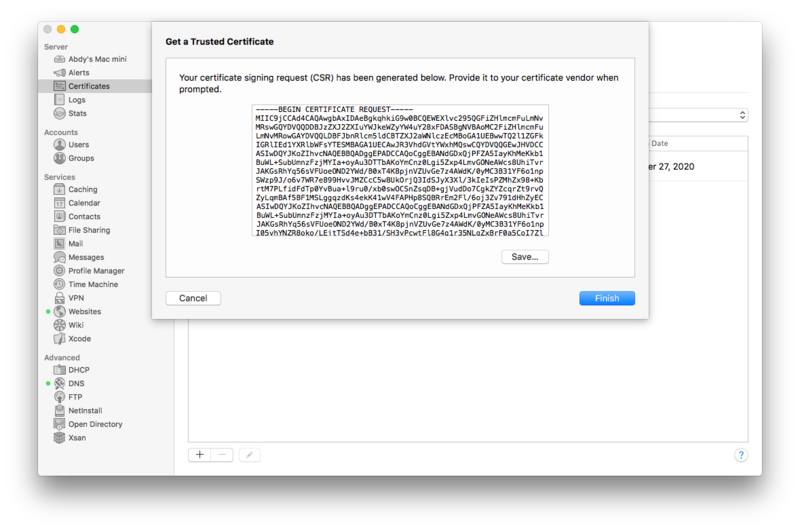 G - Active SSL Certificate. 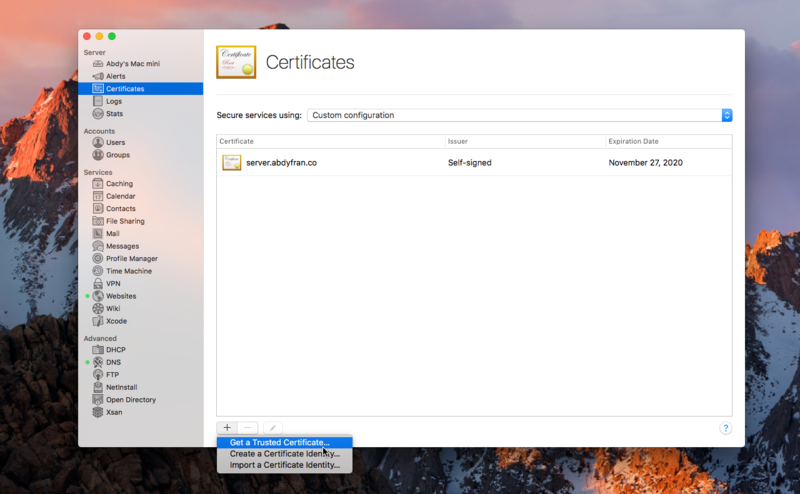 Once you have installed the SSL certificate, it is recommended to replace the auto-signed certificate that installs by default Server at the time of installation, by the new certificate you just installed. Fig. H - Website lists. Fig. I - Website control panel. And that would be all! 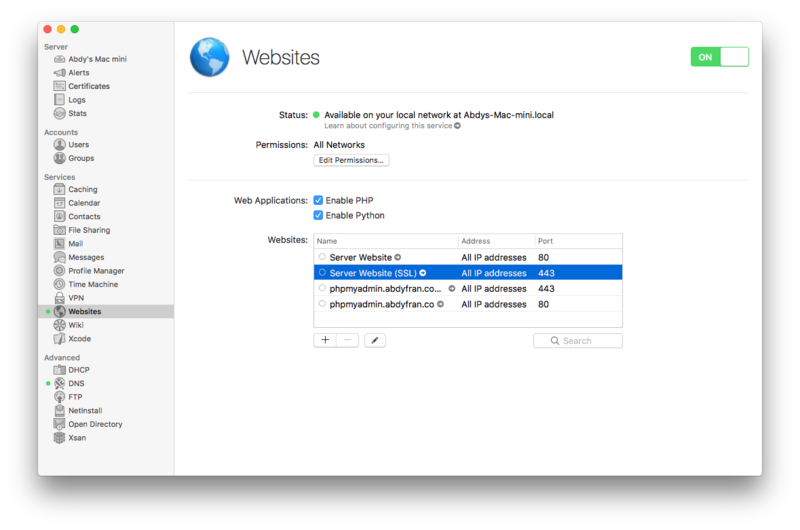 The SSL certificate is already active and operating on the server, now only remains to check that the SSL is working properly using an online tool such as SSL Labs.